Bed and Breakfast Washington DC Getaway with Metro convinence in Temple Hills is a B&B with 3 Rooms. 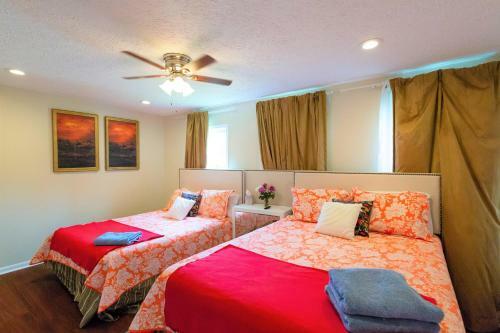 Situated in Temple Hills, within 3.3 km of Anacostia Museum, Washington DC Getaway with Metro convinence offers accommodation with free WiFi, air cond...itioning and a terrace. The accommodation is 3.9 km from the Alger Park. The bed and breakfast features a flat-screen TV. Avalon Playground is 4.4 km from the bed and breakfast. The nearest airport is Ronald Reagan Washington National Airport, 17 km from Washington DC Getaway with Metro convinence. When would you like to stay at Washington DC Getaway with Metro convinence?